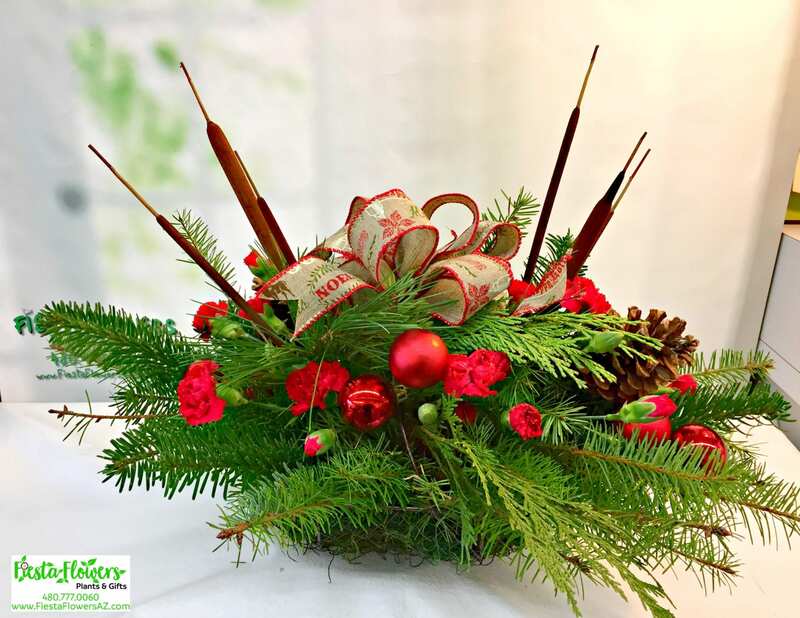 Our Long-lasting Country Christmas Basket is one of our best sellers. 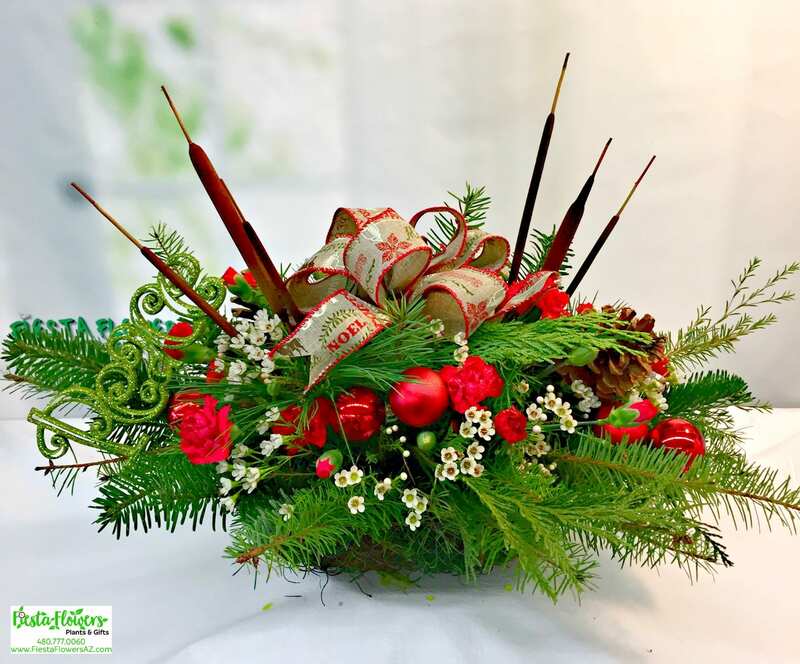 Arranged in a moss wrapped wire basket, our arrangement measures 22 inch long by 11 inches high. Holiday greens are watered by floral foam (which if watered every day preserves the greens for weeks of holiday enjoyment!). 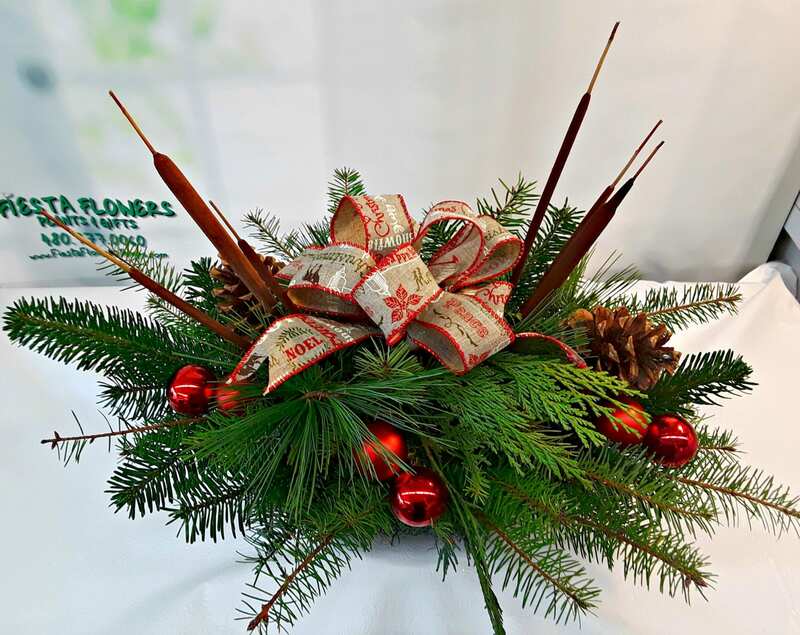 Our Merry Christmas country burlap bow is surrounded by Cat Tails, Pine Cones and cheery red ornaments. Upgrade to bright red (long-lasting) Mini Carnations and Wax Flower.